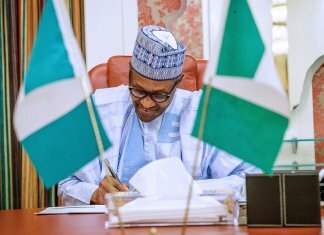 Worried by the security situation in the North-east, President Muhammadu Buhari has demanded for a detailed and effective counter plan of action against Boko Haram as well as update on state of military armament from the service chiefs. But a retired senior Army officer, who is very conversant with the happenings in the theatre of the on-going war between the Nigerian military and Boko Haram, has given insight into the challenges the Nigerian troops are facing. From the war zone, the Nigerian Air Force was said to have dealt a heavy blow on the terrorists yesterday, bombing their locations and killing many of them. This came as the presidential candidate of the Peoples Democratic Party (PDP), Alhaji Atiku Abubakar, yesterday berated the All Progressives Congress (APC) for not paying tribute to the gallant men who gave their lives in order to secure the lives of others. The nation had been jolted by the resurgence of Boko Haram attacks on military bases in the North-east, the last of which occurred last week, leading to the death of the commander of the 157 Task Force and several soldiers stationed in Metele, a dusty town in the fringes of Borno State. Buhari had expressed shock on Saturday at the scale of the attack and attendant casualties, summoning the service chiefs to a meeting on Sunday, where he reportedly told them, for the umpteenth time, to sit up. 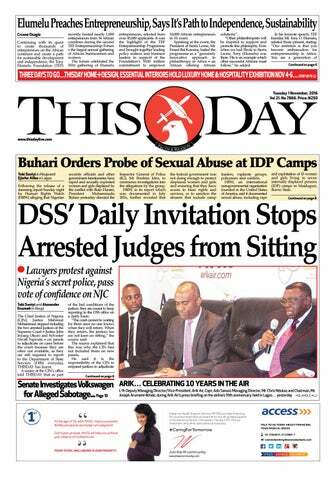 THISDAY gathered last night that the president yesterday received further briefing from intelligence chiefs, including the National Security Adviser (NSA), Maj-Gen. Babagana Monguno (rtd), Director of State Security, (DSS), Mr. Yusuf Bichi, the Inspector General of Police (IGP), Mr. Ibrahim Idris, and members of the Police Service Commission. 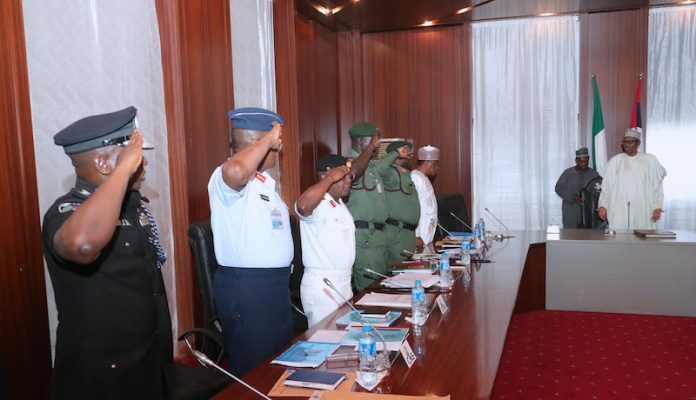 Defence sources said the president at his meeting with the service chiefs on Sunday demanded from them the best strategy to win the war against Boko Haram, while also calling for an update on the purchase of arms and ammunition and the quality and state of munitions. “He is presently receiving security briefing on the security situation. At the yesterday’s (Sunday) meeting, the Commander-in-chief wanted to see an effective work plan that would prevent this kind of breach. “He is also interested, and particularly demanded a quick update on the state of armoury, recent purchases and the state and quality of the arms and ammunition available,” a source close to the meeting told THISDAY. THISDAY checks further showed that Buhari is expected to take far reaching decisions after the security briefing this week. The president’s Personal Assistant on Social Media, Mr. Bashir Ahmad, later confirmed Buhari’s meeting with intelligence chiefs on his twitter handle last night. Yesterday’s meeting is the third one Buhari would be having with service chiefs over the recent killing of over 100 Nigerian soldiers by the Boko Haram terrorist group along the Nigeria-Chad border. However, the senior Army officer, who spoke with THISDAY in confidence yesterday catalogued the huge challenges the Nigerian troops are currently facing that may have created the failing security situation in the battle fields. He added, ‘’This misconception is not helping our war against Boko Haram; and this is also what informed the way the government has responded to the huge problem so far. As a result, there is no serious commitment on the part of the government to address the issue. 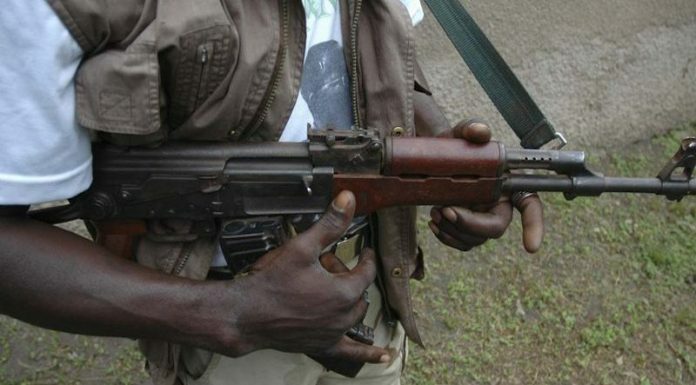 It is a dirty propaganda that is not helping us; the truth is that Boko Haram is getting stronger and stronger daily.’’ The officer, who retired a couple of years ago and had consulted for the military authorities on the on-going war in the North-east in the past, also blamed the deteriorating situation to lack of proper training by the troops in the war zone. 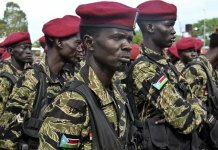 He explained, “Another problem that we have is lack of proper training by our troops; many of them are from the army depots, with few months training. We need troops who are well-trained in war to engage the terrorist group. And, again, their moral is very low; boosting their moral has nothing to do with how much of financial rewards they get; but making them believe that what they are doing is for their father’s land. Using the video of the recent attack by Boko Haram on the Nigerian troops in Metele, Borno State in assessing the situation, the former intelligence officer in the Nigerian Army, said there was no proper coordination among the service chiefs. According to him, ‘’If you look at the video of the recent attack in Metele, a territory of the theatre of war, you will discover that Nigerian troops were caught unaware; many of them were not even on their combatant uniform when the terrorists invaded the area; troops fighting in that kind of environment must be ready 24/7 because Metele is a theatre of war. He also accused the military authorities of not paying more attention to the Nigerian army. He added, ‘’This government has not bought any arm since it came to power three and half years ago; the arms the military is still using are the ones former President Goodluck Jonathan bought. He said many Nigerians were deceived by the popular euphoria that Buhari was an Army General, who is very versed in war; and who can easily defeat Boko Haram, saying because of his self-esteem, the president could not comprehend how a mercenary group could be employed to assist Nigerian military to fight Boko Haram. The senior officer added, “And because of his large ego, President Muhammadu Buhari sent this group packing from Nigeria. But the truth is that this group was very helpful in the war against Boko Haram during Jonathan-led government. The group helped in degrading Boko Haram; that is why we were able to conduct elections in many of the areas in 2015. Boko Haram did not carry out the kind of havoc they are doing today. The source advised government to wake up, saying, Nigeria is in pressing need for solutions to the worsening security situation in the country, especially in the North-east. ‘’The earlier the federal government realises that the country is in a crisis situation the better for our nation,’’ he advised. The Jonathan administration had engaged a South African mercenary company, Specialised Tasks, Training, Equipment and Protection International (STTEP), to contain Boko Haram in 2014, but was disengaged by Buhari in 2015. The company was quoted yesterday by The Cable – an online newspaper, as saying that Buhari rejected intelligence from the company, warning about operations of Boko Haram in Borno State. Mr. Eeben Barlow, STTEP chairman, said Nigerian soldiers had been reaching out for help since his company’s services were terminated. Pondering on the falling security situation in the North-east, Barlow said Buhari’s administration did not allow his company to complete the objective of “degrading and destroying” Boko Haram in Borno State. He said, “There is, in a purely military sense, no such thing as a ‘technical defeat’—something the president, as an ex-military man ought to know. Sadly, he also chose to make the successes of 7 Infantry Division and 72 Mobile Strike Force (MSF) his own, when it wasn’t. ‘’President Buhari and his team were, however, part of the political leader group that led the vocal charge about STTEP’s presence in Nigeria. Indeed, they made it known that the company’s presence would not be tolerated under his office. However, PRNigeria, a public relations outfit that had worked with the security and military agencies, quoted a top military intelligence officer as saying that the airstrikes launched by the Nigerian Air Force destroyed a convoy of vehicles linked to Boko Haram attackers involved in last week raid on the military base at Metele in Borno State. “The Nigerian Air Force is following the trail of the terrorists and has successfully destroyed about seven vehicles, including gun truck and eliminated all the terrorists in the vehicles,” it quoted a military source. The report claimed that an aircraft also crossed the border into a neighboring country in hot pursuits where terrorists and stolen armoured vehicles were destroyed. Meanwhile, Atiku in a statement by his campaign organisation yesterday berated the APC for not condoling with the families of the fallen soldiers. Atiku noted that it is left to Nigerians to compare and contrast who is a leader and who is a follower based on the conduct of these two parties. In the mean time, the PDP has called on the National Assembly to immediately commence an extensive investigation into alleged compromises that led to the killing of over 100 Nigerian soldiers by the Boko Haram insurgents in Borno State. The main opposition party said that the call became imperative since Buhari-led federal government has refused to come forth with explanations on the issue. The National Publicity Secretary of the party, Mr. Kola Ologbondiyan, in a statement yesterday in Abuja, said the conflicting reports by the police only point towards an attempt to cover a case of extra-judicial killing. The party also alleged that the move was aimed at muting vital information, and derail the course of justice in the matter which has since assumed a political dimension targeted at key opposition leaders. He stated, “The legislative investigation on the killing of our soldiers has become imperative given reports of compromises and alleged failure of the authorities to promptly act on a reported threat by insurgents to attack the base and other military locations in the area, few days before the attack. Also commenting, former Chief of Defence Staff Gen. Martin Luther Agwai (rtd) said troops battling Boko Haram terrorists in the North-east are suffering casualties because the war is not conventional. 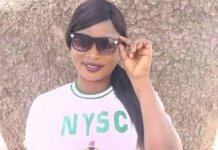 Agwai, who was reacting to the killing of the soldiers by terrorists, said although soldiers were originally trained to fight conventional warfare, what they were facing at the moment in the North-east was strange to their training. Agwai, who was also a former Chief of Army Staff, therefore, appealed to Nigerians not to see the killing of troops as a sign of weakness on the part of the military. 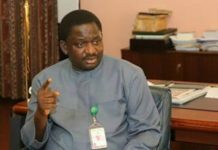 Speaking with journalists in Abuja on the sidelines of the 50th anniversary of the Nigeria Fellowship of Evangelical Students, he insisted that during unconventional warfare, troops must suffer casualties.